It's another first for me! 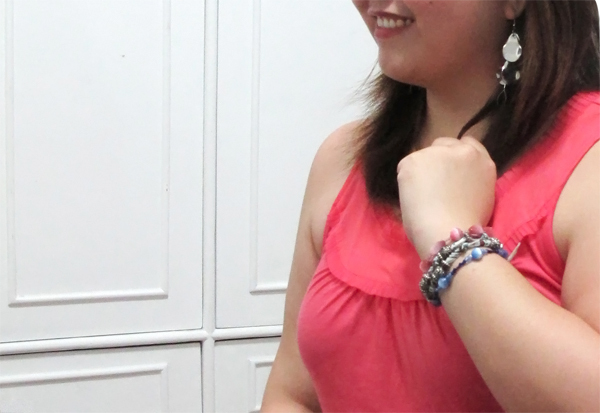 Salmon pink and cobalt blue. How about that? 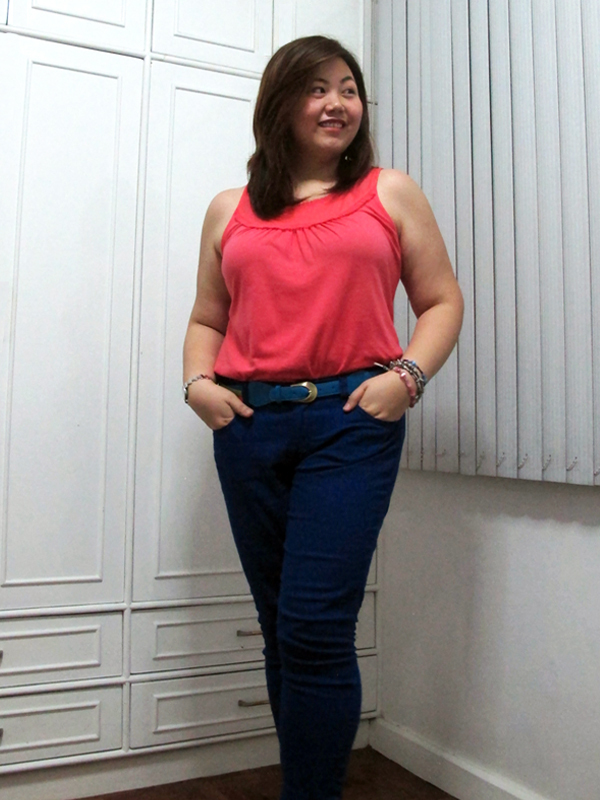 Never been a wearer of colored jeans, I decided to experiment with a "safer" color first, one that I could see myself wearing with a lot of tops. 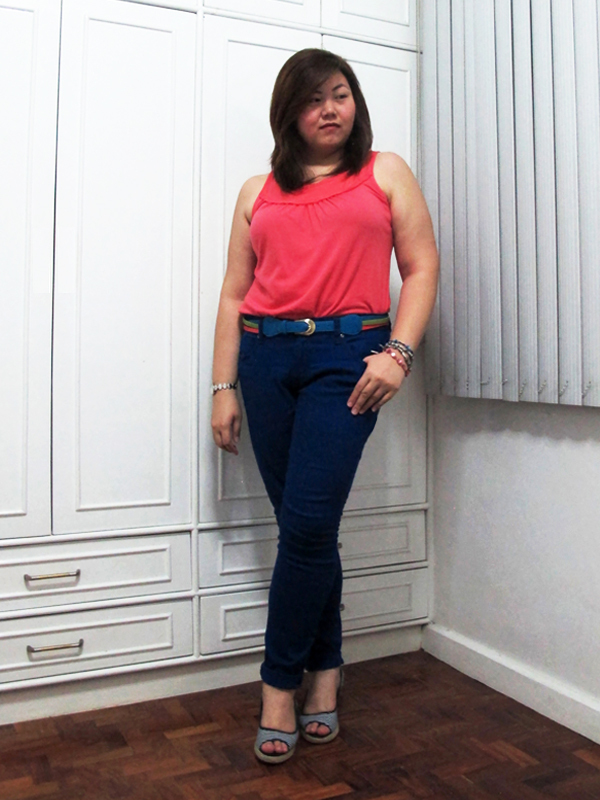 But after a day in it, I've decided that colored jeans are every girl's must-have. Yup, I'm a converted enthusiast. My only regrets now are not buying the gorgeous green and neon yellow jeans in Shanghai and a rust-colored one in Forever 21. You probably own countless pairs of colored pants. (Because I'm often a bit late on trends.) What's in your closet? Good call on salmon and cobalt. Nice contrast. 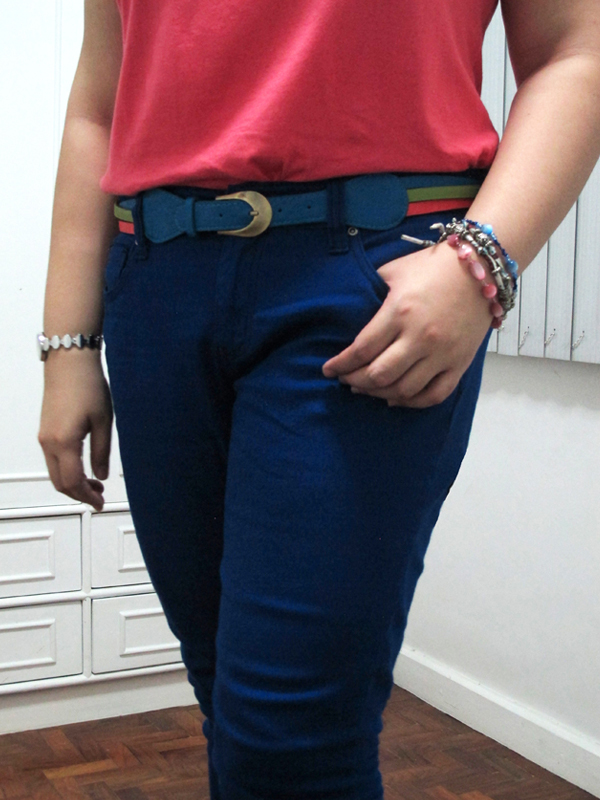 I haven't 'explored' the colored jeans arena. You got me thinking. I've been okay with colored jeans; I'm just not into patterned jeans much. Going with this color combination is a nice one. Nothing too exciting or over the top, but still a great combination. Great style shown by you here. I haven't tried any patterned jeans yet... Don't know if I can pull those off! Haha! Thanks Sarah! You're an early trendsetter! Got pretty colors here, love how they match perfectly. You look beautiful and sophisticated. Love it! Not much of a colorful person, my closet can speak for that. Until 2 weeks ago when I spotted a beautiful bright purple jeans, but sadly they don't have my size. Thanks dear! Don't give up on colored pants! Haha! i love the blush color!! 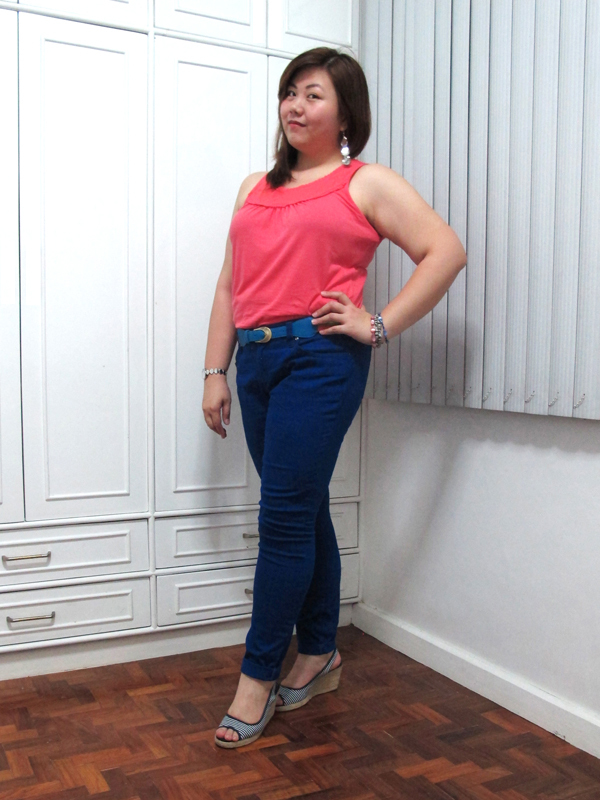 I'm loving the salmon and cobalt together! !